Hans Wegner showed this chair first at the Annual Exhibition of the Cabinetmakers’ Guild in 1949. Made in oak by the cabinetmaker Johannes Hansen, it was identified in subsequent catalogues as Chair JH501 but it was Wegner himself who described it as the “round one” and in Denmark it is known generally as The Round Chair. Exported to America, it is now known there simply as The Chair. It is still in production but is now made by PP Møbler and in their catalogues is chair PP501. The chair shown in the cabinetmakers’ exhibition had a woven cane seat and cane was wound around the back rest to cover where the wood of the arms was joined to the piece of wood that formed the back. It was not until 1950 that an alternative version was produced, with leather upholstery rather than cane for the seat, and the form of the back and the joins that were used were altered so that the chair could have a plain wood back and arm rests without cane work. That version appeared in catalogues as the JH503 from Johannes Hansen and is identified now as the PP503 by PP Møbler. There is something of the chameleon about the design so, in a dark wood, that has a high polish and with a leather seat, it has more than enough style and sophistication for either a boardroom or for a more formal dining room but in pale oak, with a matt finish and a cane seat, it looks decades younger and fits happily with a contemporary arrangement for a family room alongside furniture of very different design or period. The Round Chair was one of the first pieces of furniture that was designed after the second world war for commercial production. Clearly, it was not a cheap factory product but certainly marked a new direction away from the skilled but small workforce found in a cabinetmakers’ workshops and who were producing all high-quality furniture before the war. The Round Chair featured again in an exhibition in New York in the Georg Jensen store on Fifth Avenue in 1959 that focused on the work of Wegner and although it was the Round Chair that was on the cover of the catalogue it was, curiously, the cane version and with cane around the back so the original JH501. Many people have written about just how modest, genuinely modest, Hans Wegner was so this statement is revealing. If he says he was thorough then it was almost-certainly a lot of hard work combined with experience and presumably a fair bit of determination. Understanding that is crucial to seeing why the design of this chair is so important. The proportions and the gentle curves of the chair look simple but simple does not mean easy and certainly does not mean basic. So part of being “thorough” was getting those lines and those dimensions and those relationships of the main parts of the chair right. Not perfect - to create an ideal - but right for this particular chair. That is, in part, about compromise … not compromise in the modern sense of doing what you can get away with but compromise in the sense of balancing what is gained or what is lost as elements of the design are changed. Here there are several broader points of compromise or balance or trading off that makes the chair such an important example of how the design process should work. So each part is reduced down … to put it crudely a straight leg with a square cross section could do the same job of supporting the seat and the arm of the chair … but take too much away and the leg looses its strength and the places where joints have to be cut to house the seat frame into the leg are weakened. The choice of wood for this specific design is an important consideration from the start … so the same design could not be made from birch. It is not hyperbole to say that the design reflects what Wegner knew about what good Danish craftsmen could do with good Danish oak … though again most Danes would be too modest to state that in that way. So from the start, the design built on well-established and well understood expertise. The quality is another and a very deliberate compromise although it might seem odd to describe it as a compromise in quality with a chair like this but in fact it was a very successful compromise. Cut quality and it is less likely to survive in commercial use but focus on it having to be a robust chair for the board-room or restaurant and it becomes too expensive and possibly too heavy and solid for domestic use in the home. It would be interesting to see if figures are available to show how many of these chairs are in restaurants and how many are in homes. Finally there was a careful balance between what could and should be done to use factory methods in the production … to simplify the design and to use machines to increase the numbers that could be made. 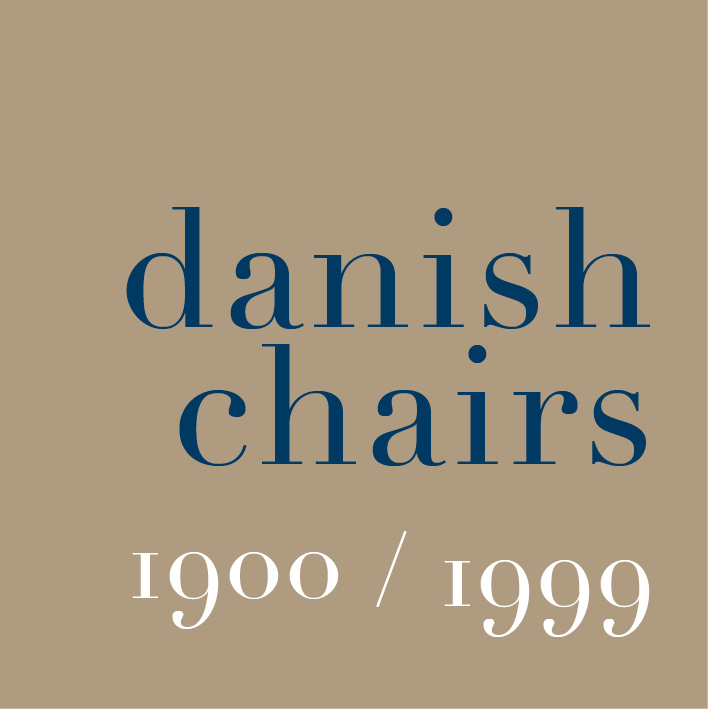 This chair was aimed at large scale production for export or at least the production of more chairs than could be made in a small workshop … but from the start it seems to have been an important but difficult part of the design brief - to again use anachronistic and modern marketing jargon - to produce a chair in relatively large numbers but to produce a chair that showcased Danish craftsmanship and quality. The vertical elements of the chair are all elegantly tapered and with the smooth and subtle curves of the back rest and the strong but thin profile of the arms this is one of Wegner’s most beautiful if not the most beautiful of his designs. Elements are shaped and cut back but not so much that it weakens the structure. Nor are the shapes imposed on the wood … the shaping of the arms and the rounding of the end of the arms, where they over sail the front legs, all exploit the way that the grain in a good piece of timber means that it can be cut and shaped and sanded smooth. One detail that shows well the techniques and skills of the cabinet makers is the shaping of the underside of each arm piece at both ends to form integral housings for the top of the leg. The on-line site for PP Møbler has photographs of a craftsman cutting or finishing that shape with what is called in England a spoke shave … a special plane for rounding and tapering a spindle with a cutting blade in the centre and handles on each side so the cabinet maker uses it with both hands. For stability, all four legs of The Round Chair are set to be angled inwards diagonally at the top, or perhaps it is better to describe them as splayed outwards to the foot. This means that the joints between the legs and the seat frame have to be cut sharply and accurately, particularly the shoulders of the tenons, but these angles reduce the chance of tipping the chair backwards, as someone sits down, or sliding sidewards as someone stands up if their weight is not evenly distributed. It is also important visually so, even when no one is sitting in it, the chair appears to stand firmly and confidently on the ground. To understand what this means, look at the Faaborg Chair designed by Kaare Klint in 1914. That chair has front legs that are cut square and tapered but vertical and the back legs are flared or curved out at the bottom to provide that stability but it makes the balance of weight for the chair appear rather precarious ... almost too delicate for the oddly solid and rather heavy back despite it being in cane. The low and quite wide silhouette of The Round Chair, when seen from the front, links it with Wegner’s design for the slightly earlier Windsor Chair from 1947 although in that chair the arm pieces are designed with a very different form being ramped up to just below the top rail that is housed between the back leg pieces, just below the top, and the back legs are not straight but given a slight change of angle at the point where there are the joins for the side frame and back frame of the seat. So, Wegner, through a series of designs for different chairs, was experimenting … trying to produce a simple but strong and stable design but one that combines straight legs with curved and rounded shapes that trim back the main vertical elements of the chair to the thinnest and most elegant profile possible without compromising the strength of the chair particularly at that crucial point where the legs are joined to the frame of the seat. Ultimately, what confirms that the design is both strong and stable, despite it’s relatively light weight, is that Wegner could avoid having stretchers of any form below the seat. For The Round Chair, the complex shape and flowing form of the back and arm rest has been described by some as a propeller shape, because it reminds them of the complex curves for the blades on the first wood propellers on very early aeroplanes. The back and arms of The Round Chair although it reads as a single if complex shape is constructed with three separate pieces of curved and shaped wood that are then joined together … if it was cut from a single piece, it would not only waste timber but would snap or split where it curved round against the grain. Early versions of the chair had cane wrapped around the centre part of the back rest, in part, to link visually with the seat but also to disguise this fact that the back and arms were not a single piece of wood but a composite. The second version of the design is strong but, more important, more honest as the joins are made into a feature of the design. In several chairs Wegner made this strengthening of the joins even more obvious by inserting dramatic angled tails or combs in a contrasting wood to make them a strong visual feature. However, it is the first version of The Round Chair with a cane seat that shows off so clearly the skills of the cabinet makers … upholstery can be used to cover all sorts of tricks in the design of the frame to make it stronger or cheaper or easier to make but with a cane seat, there is really nowhere to hide anything. In a good, high-quality chair, the joints and the finish have to be perfect because everything can be seen. Although, of course, having said that, the upholstery on the 503 hides nothing for the leather seat is dropped into the frame as a pad rather than resorting to the common practice of taking leather or fabric right over the frame and fixing it with nails to completely cover the substructure of the seat. There are several different ways to hold in place the canes of a woven seat. In the cheapest form of chair, panels of pre-woven cane are fixed across the seat frame and held down in a channel with a thin rod of cane but it can be difficult to stretch the cane work tight across the seat. In some chairs a series of vertical holes are drilled down through the front, the back and the side pieces of the seat and the canes are taken up through one hole, stretched across the seat to the opposite side and taken down a hole and then up through the adjoining hole and then back across the seat either straight across or commonly across a diagonal which then produces the popular honeycomb pattern. In other chairs, the cane can be taken over the outside of the frame and doubled back underneath - copying the usual method with rush seats - but that can make the cane work look rather solid or baulky. For The Round Chair, the method used to fix in place the cane seat is rather more complicated. The cane is taken over the edge of the seat frame but then doubled back through long slots through the vertical face of the frame. These slots cannot be cut the full length of each piece of the seat frame because that would undermine the strength of the frame and make it difficult to cut and would weaken the joints where the frame is housed into the legs so these slots stop short at each end. Because of these foreshortened slots the densely woven area of the cane seat is consequently set in from the frame but this becomes a strong feature of the design with adjoining canes crossed over in pairs to form a line of elongated Xs as an open border to the more-densely woven area you sit on. It becomes a positive element of the weaving pattern and, as with the earlier Faaborg Chair by Kaare Klint, it gives the seat a lighter look and a more distinct relationship with the floor which can be seen through the cane work. There is a downward curving cross brace, running front to back under the seat of the cane version, that is important as it strengthen the frame but few people will even notice it - in part because the outer ends are also wound in cane so it is less obvious when seen from above through the cane work of the seat. Wegner clearly saw the checkerboard pattern of the cane work on The Round Chair as both an integral and an essential part of the design. So The Round Chair looks good; was in the vanguard of the rapidly developing style of modern Danish furniture in the early 50s; marked a change to producing not just cheaper furniture but more expensive pieces commercially rather than in a cabinet makers’ workshop and it helped establish an international market for Danish design but is it comfortable? In the end, ergonomics should be the test for any chair. For a start, there is a marked drop or curving down of the centre of front rail and this gives the seat a slight hollow shape that takes a backside more comfortably. Looking down on The Round Chair from above, you can see that the broad curve of the back forms a wide and generous seat - The Round Chair is 630mm wide overall so not the widest of dining chairs but the Wishbone Chair, designed in 1950, is just 550mmm wide. In some ways again, The Round Chair is reminiscent of the Faaborg chair although where that chair, designed by Kaare Klint in 1914, is different is that it has a level and continuous, horizontal line to the top of the back and arms, when seen from the front, which encloses the person sitting in it … it seems to force your arms up higher to a more stilted angle to the body or you can just rest your elbows on the sides but then your hands should be set demurely together in your lap. That is perhaps the key to the comfort of The Round Chair, so, to put that the other way round, the shape of The Round Chair, with arm rests lower than the top line of the back, allows the person sitting in the chair to rest and support their arms on the side pieces of the chair, in a lower and more natural position. The back rest itself is deep, set as a strong vertical but is gently curved in plan to provide a broad band of lumber support but the arm pieces, as they curve round from the back, twist to the horizontal with a slight swelling out, close to the back, to support the elbows, but then the arm pieces taper in and continue to a slight and chamfered or undercut lip beyond the front legs. That projection or over sailing helps to make the join, between the arm and the top of the front leg, stronger but also the fingers of the person sitting in the chair, drop naturally and comfortably over the end of the arm and that feels like a natural and relaxed way to sit …. with the arms along the top of the side pieces and then when getting up out of the chair it is easy to use your arms to steady yourself and then give a slight pressure downwards as you stand up. So …. easy to sit down in the chair, wide enough to fidget around if you are uncomfortable or bored and about as easy as possible to get out of. Wegner presented three chairs at the Cabinetmakers’ Exhibition in 1949 and they could not have been more different. Along with The Round Chair, he showed the Folding Chair JH512, designed to hang on a wall in a small apartment, and the dramatic tripartite Shell Chair, which has an amazing combination of bold cut-outs in thick plywood and a complicated bentwood frame. These were all virtuoso pieces and presumably for Wegner, then in in has mid 30s, they marked his coming of age as a furniture designer. This photograph of The Chair was taken at the Wegner exhibition just one good chair at Designmuseum Danmark in 2014. It shows that Wegner, from this point on, returns to themes or ideas or techniques … not to copy or repeat a design but he back tracks to an interesting point where he could explore a different sequence of choices through the design process to take a design to a very different end. The Cow Horn Chair JH505 dates from 1952 and has shortened arm rests so that when not in use the chair can be pushed closer to the table. Office Chair JH502, with its dramatic deep back rest and a metal frame, was designed in 1955 and shows a development of the back of the Round Chair that provides more support for the spine and over a slightly wider range of positions as someone may have to use an office chair for much of the day whereas sitting on a dining chair is normally for a much shorter period. Wegner became interested in ergonomics and in the early 50s worked with Professor Egill Snorrason who had undertaken research on posture, particularly for patients who had polio. When people talk about The Round Chair, many comment on just how comfortable it is which is said to be the reason why John F Kennedy requested Wegner’s chair when he appeared with Richard Nixon in a television interview in September 1960 - the first ever Presidential campaign debate - and an appearance for the chair that gave it considerable status. John F Kennedy had aggravated a pre-existing back problem while on active service in the American Navy during the war although that was not widely publicised as it might well have been seen as a sign of weakness that could have been exploited by political opponents particularly as he was dependent on a number of strong pain-killing drugs. Kennedy was one of the first politicians who understood the importance of image so if he realised that if he moved around in his chair during the broadcast, simply because he was in pain and uncomfortable, it might be interpreted as being nervous or even evasive as he answered questions. A Round Chair with cane seat was added to the collection of the New York Museum of Modern Art in 1953 (MoMA Catalogue 486.1953) and was the first of seven different chairs designed by Wegner that have been acquired by the museum. * In 2015, the shipment of fake Wegner chairs made in China and destroyed by officials when they arrived in Norway were copies of The Round Chair. ** The first Good Design exhibition from November 1950 through to February 1951 was designed by Charles and Ray Eames. *** A check-list in the MoMA archive of pieces in the exhibition includes just one chair by Wegner described as “Chair, Oak, Cane Hans Wegner” that must be The Round Chair and the retail price is calculated as about $125. One web site that calculates inflation suggests that $125 in 1951 would have been equivalent to about $1,280 or 9,000 Kroner or just over £1,000 now in 2017.